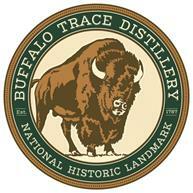 Buffalo Trace Distillery has been named a National Historic Landmark by the Department of the Interior. It now joins the ranks of fellow landmarks such as the Alamo, the White House and the Empire State Building. There are only 2,577 such designations in the US. The distillery described the honour as, “a rare, intact example of a distillery operating before, during and after Prohibition with intact distillery resources ranging in date from ca. 1880 to 1953.